This holiday season we have been urging nannies and au pairs to give quality toys as gifts to their charges. Kids still get pleasure from the simple things: a large box of crayons and a thick packet of construction paper, modeling clay, building blocks, pick-up sticks, puzzles, balls, and dress up clothes. Lincoln Logs, Erector sets, LEGO sets are all still popular ways to challenge a child’s imagination. Dolls are a necessary ingredient of fantasy, and cuddly stuffed animals represent security and warmth and always make a great gift. Classics like Raggedy Ann and Andy and Winnie the Pooh are great to give with books about their adventures. For older children, familiar games like Scrabble, Monopoly, or a chess set are always great gift choices. Would Christmas be complete without an electric train set under the tree? 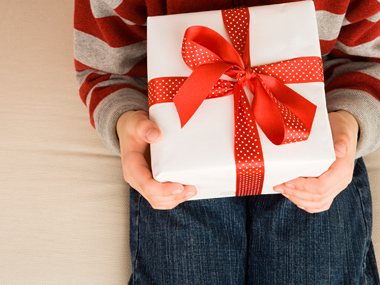 Don’t break the bank trying to give the kids in your care expensive gifts this holiday season. Instead, keep your gift to the kids simple this year. « Do the Gifts Your Charges Get Spoil the Children?